Rapping isn’t raking in as much money as it used to for artists. And even if you’re one of the fortunate ones, you can’t keep spitting rhymes forever. This is why you’ll find many of your favorite MCs stepping into other roles. As you’d guess from the headline, we’re talking about movies. You’ll have your occasional missteps, like Nas in Belly and LL Cool J in Deep Blue Sea. Some succeed, however, and one of the biggest from a commercial standpoint is Ludacris. He isn’t the biggest figure in the Fast & Furious series (hence his exclusion from this list), but he is a notable one in the franchise that’s grossed over $2 billion worldwide. Furious 7 is also making some noise; it’s already making a killing by earning $15.8 million on its Thursday opening. There are many rappers-turned-actors who paved the way for Ludacris to be a part of such a film project, and not just Ja Rule, who decided to drop out of the series. 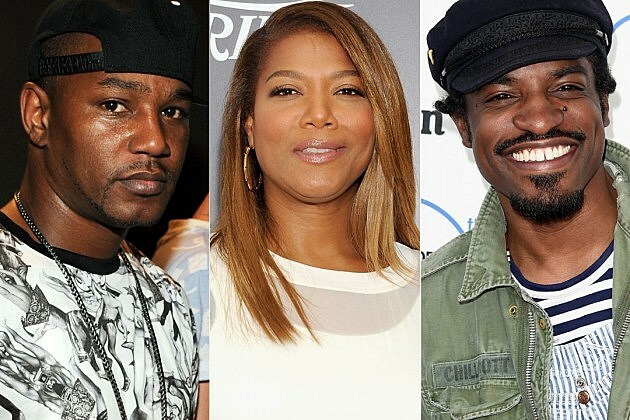 Rappers didn’t just prove that starring in a film could be commercially viable. Some of these cats really can act. Boyz N The Hood doesn’t hit as hard as it did if Ice Cube didn’t inspire sympathy for his doomed character. Juice is just a paranoia flick if Tupac Shakur doesn’t add that sense of urgency to his appearance. There are plenty of hip-hop alumni to choose from when picking out the 10 Best Movie Roles Played by Rappers. Take a look at the best in their class below. Kid ‘n Play is on this list because they managed to perfect the scene below before rappers decided doing choreography wasn’t cool anymore. That and how great of a movie House Party is makes Christopher “Kid” Reid and Christopher “Play” Martin the perfect additions here. One of hip-hop’s most charismatic MCs turned into something despicable in Paid in Full, a new school classic hood film set in Harlem, N.Y. Not only does Cam’ron betray his crew to disastrous results, but he also ends up snitching. Yes, it’s possible not even Killa Cam would like Rick if he met him in person. It’s a shame we don’t get more of him and Wood Harris (known as Avon Barksdale to many) on screen together more. Still, the borderline hilarious flippancy of Cam’ron in the scene below stands as one of his finest moments. There’s only two real highlights in Belly: the opening sequence and DMX‘s performance. In the middle of Nas’ staid presence and slack plot, the Flesh of My Flesh, Blood of My Blood creator delivered a performance that was easily the film’s most kinetic. You missed him every time he left the screen. What made DMX scarier is how the thought passes that he could just be playing himself rather than a robber. “That’s what we need to do: rob a bank,” says Queen Latifah‘s character in Set It Off, which sets off a spiral of bank robberies, murder and eventually the crew’s demise. It’s a means to get out of a system that’s failed her and her friends, but Set It Off doesn’t portray them as victims. They have motivations, which make their ends more heartbreaking. Kudos to Latifah for making, “You got those Queen Latifah Set It Off braids,” a thing close to 20 years after we first set eyes on her ‘do. Many rappers dip their toes outside of the game to extend their brand or simply to say, “I’m more than a rapper.” Andre 3000 puts his best foot forward when he accepted the role of the late Jimi Hendrix in All Is By My Side. To prepare for the effort, Three Stacks played a left-handed guitar for six hours a day, studied Hendrix interviews and lost 20 pounds to match Hendrix’s skinny frame. Can’t say the preparation was for naught. Will Smith started out as a rapper before moving on to his breakout role in The Fresh Prince of Bel-Air. So this gives us a legit chance to shout out Men in Black. You could make the argument for a few of Smith’s performances (Bad Boys, The Pursuit of Happyness, Hitch), but this one is worth a mention because of how he’s both the audience’s voice in that insane world and an embodiment of cool. Almost 20 years later, “You know the difference between you and me? I make this look good,” is still a great line. One of hip-hop’s greatest ironies is how the man who made a song called “Cop Killer” is somehow at his creative best as a cop. Before his Law & Order: SVU gig, Ice-T was an undercover police officer in the imaginative but poignantly real New Jack City (the Cash Money Brothers taking over an entire apartment complex without a single arrest is a stretch). There’s a humanity that Ice-T injects into his chaotic good that makes his character memorable, especially in that final showdown. While Ricky is the biggest tragedy in Boyz N The Hood, Doughboy’s fate is still draining. Ice Cube, who plays him with his characteristic, convincing grimace, summarizes this with his pointed question toward the end of the movie: “Either they don’t know, don’t show, or don’t care about what’s going on in the hood.” The rapper’s character is resigned to a fate that’s never felt like it’s fully been his, and his arc and the futility of it makes this realization more painful. In playing what’s essentially a loose version of himself, Eminem created the prototypical hip-hop underdog story in his turn as B-Rabbit. His acting in 8 Mile isn’t at all that stiff because, you know, Slim Shady is essentially playing himself. Plus, the movie-ending cipher alone earns arguably one of the G.O.A.T a spot on this list. While you can make an argument for some of his other roles, Tupac Shakur‘s turn in Juice stands out because of the way it allows him to loosen the restraints of his more aggressive, id-driven side. He’s essentially the film’s lone source of danger, but what makes it work is how he’s a convincing one. Shakur sells that gradual loss of humanity through the Juice, especially in that unintentionally comedic elevator scene. What sets this performance away from the others isn’t the role itself, but how it gets to the point where it seems like Shakur is the only person who could ever play the role of Bishop.